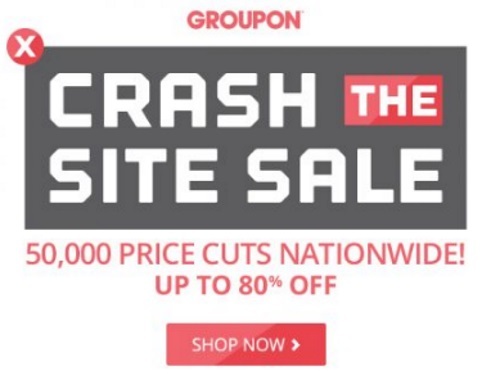 Groupon has a Crash The Site Sale on now! There are 50,000 price cuts nationwide with up to 80% off deals! This sale ends Wednesday, May 11, 2016 at 11:59pm PT. No promo code is needed, prices are as marked. There are a limited number offers available. The popular offers get sold out fast.